We lost a few good titles this year due to ‘poor’ sales – but I believe that none were more keenly felt than the loss of Captain Britain & MI13. 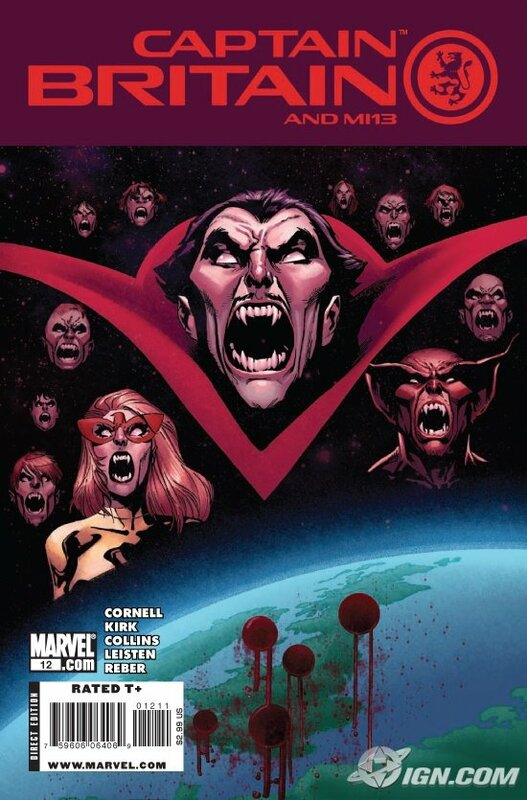 One of the best (in fact, probably the best) thing to come out of the 2008 Marvel crossover ‘Secret Invasion’, the story went from strength to strength, with ‘Vampire State’ being a highlight of the early part of this year, and ultimately a triumphant swansong for the title. 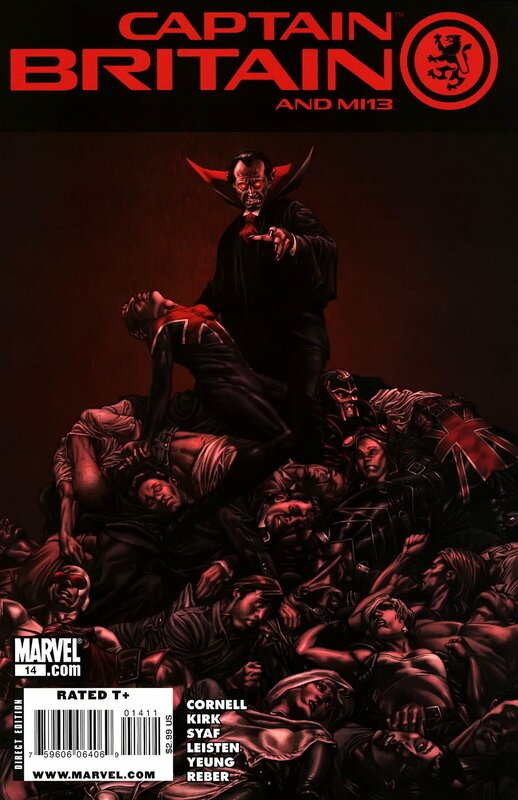 The plot is stunning, thrilling, high concept brliiance – Dracula, named as the ‘Greatest General of his Generation’ by Captain Britain & MI13 writer Paul Cornell in an interview with Newsarama, and his Vampire army (with aid from Dr Doom) leave their Moon sanctuary to invade Great Britain, with an armada of Space Galleons. Let me repeat that because I enjoy writing to so much – Dracula and his Vampire Army (with help from Doctor Doom) plot to invade Britain from their Moon base in space Galleons. I don’t know if I need to persuade you, but if you have not been touched by this comics brilliance then the trades (3 volumes) are available – Secret Invasion, Hell Comes To Brimingham & Vampire State. Cornell’s ability as a writer is all too evident – he effortlessly integrates marginal / forgotten / out of fashion Heroes with some of his own memorable characters. 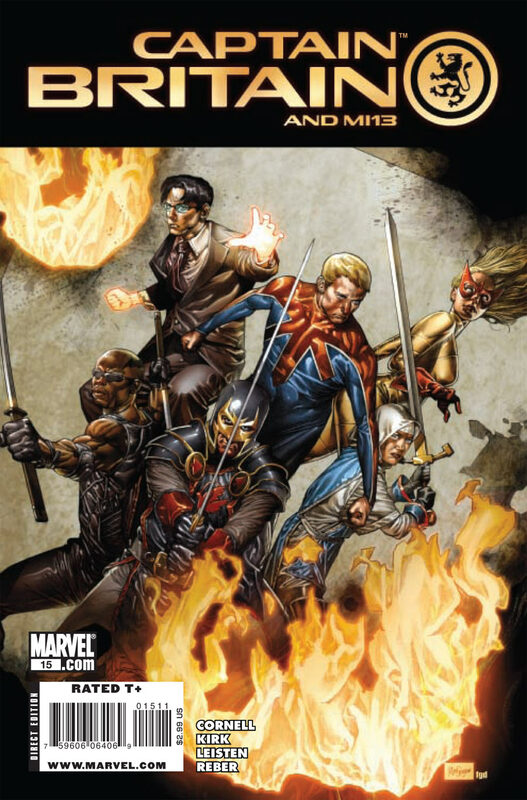 The title was a real ensemble piece, with Captain Britain, Pete Wisdom, Blade, Black Knight and Faiza Hussain all having the space to develop and flourish. This was never done at the expense of gripping action produced with a flourish. Without the right artist, I feel that this title would have been a noble failure (good writing needs the right artist). Luckily, Leonard Kirk was up to the task, delivering some superbly cinematic visions and creating an atmosphere of dread and disaster when called for. He also drew a great Dracula. A crying shame this could not have gone on, but what we do have is 15 issues (and an annual), 3 trades and a lot of quality. There was not a bad arc, and as 2009 was just concerned with ‘Vampire State’, it easily hits the top 10 of the year.